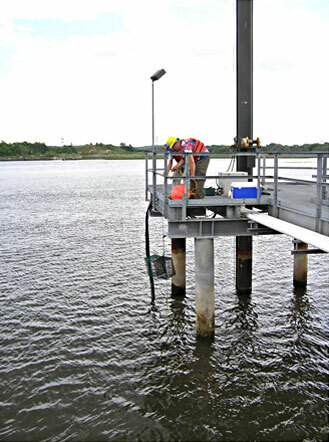 Water quality concerns tend to focus on the potential release of sediment or turbidity into the water column. Shoaling concerns focus on the potential increase in shoaling in nearby berths and channels. Ingested organism concerns focus on the potential injury to small fish, larvae and eggs should they be drawn into a Turbo Unit. Extensive monitoring of existing installations has shown that SedCon® Turbo Systems produce no significant adverse impacts to the environment. 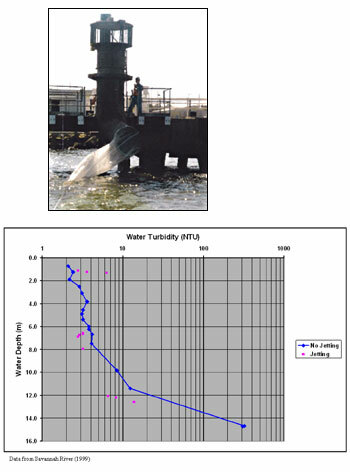 Since the systems function by preventing sediment from settling in a berthing area, no new sediment is added to the water column and the overall turbidity remains unchanged. In addition, there has never been any indication of increased shoaling in adjacent areas. The Turbo Units use a slow moving, axial flow impeller that minimizes the probability of injury to small ingested organisms.” Larger fish and mammals can avoid ingestion or are prevented from entry by an intake grating. Larger organisms can either avoid ingestion or are prevented from entry by an intake grating.